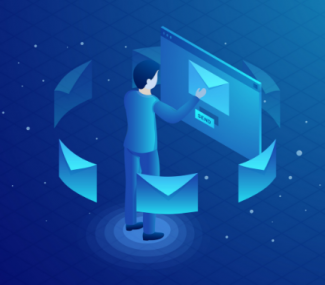 We have recently been covering different ways to maintain good email deliverability rates, from maintaining a positive email reputation to data enhancing your email lists. Today we continue with this trend by discussing the difference between hard and soft email bounces. We have all been there. You create an email, send it out, and then find out through an automatic notification that the email delivery failed. This means your email bounced. This also means your intended recipient did not get your email. Email bounces cause your recipients to miss out on your campaigns. Plus, high bounce rates have a negative effect on your deliverability rate. This means it is extremely important to maintain low bounce rates. You should shoot for a total bounce rate of less than 2%. If an email bounces back and is marked as non-existent, this means the email address could contain a typo. It also means a person could have left the organization that their email is associated with. Sometimes people use fake email addresses online as well. This is especially true when giving out freebies online in exchange for an email. Other times, emails bounce back because the email server is either temporarily unavailable, overloaded or not found. Sometimes your contacts have so many emails in their inbox that they cannot receive any more. They will only start to receive emails again when space is created in their inbox. A server has the ability to block incoming email. This usually happens when sending out emails to government institutions or schools. These entities tend to have stricter rules for receiving emails. When it comes to email bounces, there are two types: soft and hard bounces. A soft bounce indicates that your email was temporarily rejected. The email address you sent a campaign was valid and the message reached the intended mail server. The reason it bounced back is that the mailbox was either full, the server was down, or the message was too large for the recipient’s mailbox. Soft bounce emails do not need to be immediately removed from your list. If they continue to pop up over time though, this is an indication that you should remove them. In contrast, a hard bounce indicates that your email was permanently rejected. The reason it bounced back is likely because the email address is invalid, the email domain is not real or the email address does not exist. All hard bounce emails should be removed from your list. Maintain good list hygiene: You should regularly data enhance your email list. 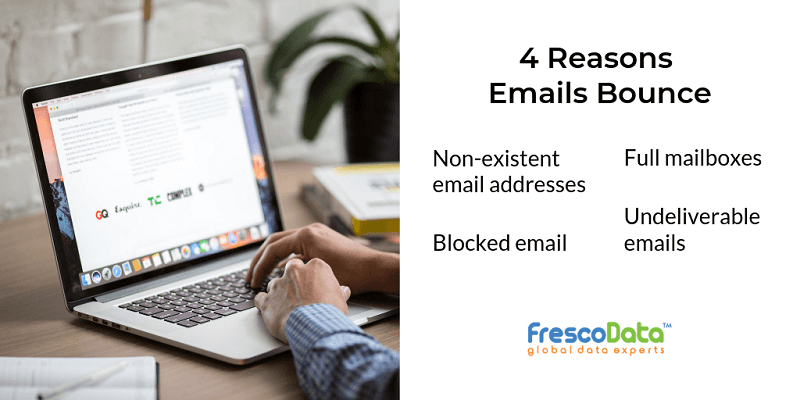 This involves regularly purging your list of invalid emails and removing non-responders. It also allows you to maximize your existing data. 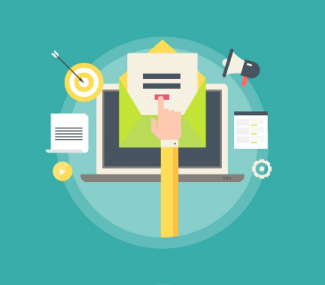 All of this will have a positive effect on your email deliverability rate. Follow double opt-in procedures: When a user subscribes to your email list, send them a confirmation email. This is important for maintaining compliance with international spam laws. Furthermore, it tells you that the emails in your list come from valid users that actually want to receive your email campaigns. Monitor your email deliverability: Pay attention to your email bounce rates as well as your response rates. This will give you important insight into your email campaigns. With this information you will be able to notice potential failures and fix them before too much damage is done. 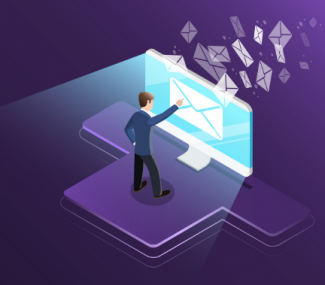 Achieving high email deliverability rates can be a challenge, but it does not have to be. FrescoData can guarantee a 99% email deliverability rate through our email marketing services. 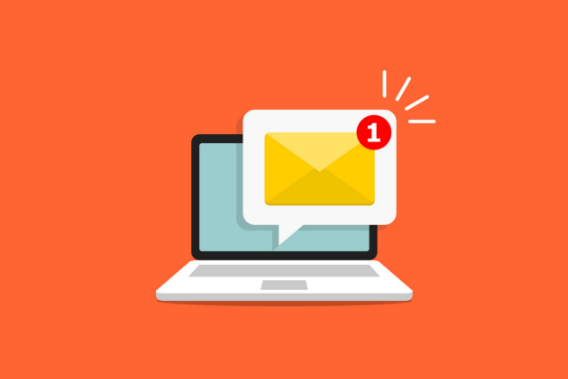 Since we are experts in all things email marketing, we can help you increase the success of your campaigns. Overwhelmed by all the things you need to address in your campaigns? Contact FrescoData today and let that stress bounce away.